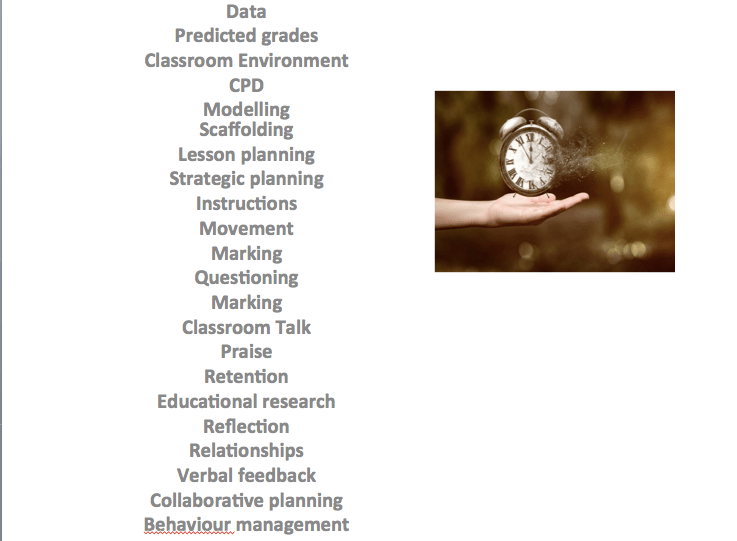 I appreciate that this is a slightly terrifying list for a Saturday morning – a brutal snap shot of just some of the conflicting demands on us as classroom practitioners. I’d like to pose a question to get us thinking about time this morning: how is your valuable teacher time spent? From this overwhelming list, what do you invest most in during the working week, and what do you invest the least in? The reality is this is a deeply unexplored area of the teaching profession: just how efficiently and how well do we use the precious time we have outside of the lesson dictated day? This session aims to offer some reflections on what I believe should be our slow priorities. We will journey through the aspects of teaching that if we allow ourselves to slow down and focus on, will help not only our wellbeing, or the young people we teach, but also our ability to find joy and grow in our profession. I would like to start by taking you back six years. I was twenty-six and just been promoted to an Assistant Headteacher in a comprehensive academy in central London. 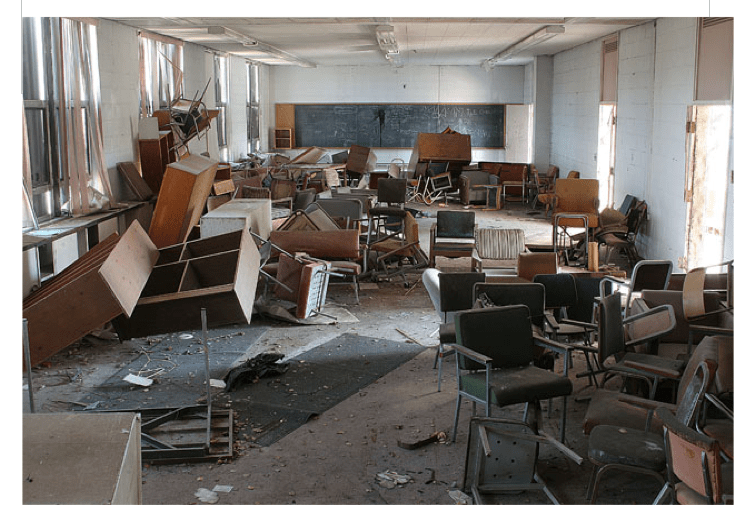 This was a school with (alarm bells might start ringing here) no middle management, just a large leadership team that was responsible for all aspects of the school. While I was grateful for the opportunity, the demands were extensive. This early prestige, fancy suit and strutting around the school came with a caveat: a six day a week contract and a ludicrous amount of hours. But I was young, invincible and had never had a day off teaching – I could cope with anything. Eighteen months of this and I was moving quicker and quicker – trying to juggle various demands. I have always been a fairly anxious person anyway and throwing in a huge amount of responsibility so quickly tipped this over this edge. My coping strategy: lots and lots of running, added fuel to the speedy fire. I ended up completely burnt out and ill: I literally couldn’t move and was consigned to bed for weeks. What I didn’t realise then, was this was effectively a break down – my body and mind just refused to submit to the relentless demands any more. At the end of that school year I moved to the North-East to a lovely, happy “normal” comprehensive school. But what had been my first experience of education still very much defined how I behaved in school: I still ran around, I still worked relentlessly without any real sense of direction, and I still felt enormously stressed out. I went through a period of months of waking up at four in the morning, feeling utterly panicked and unable to wind myself down to sleep. Although I genuinely love teaching, I started to think that maybe it wasn’t sustainable and for me anymore – I had lost all confidence in my ability to cope. My experience is one that is mirrored across the country: young teachers frustrated and overwhelmed by the extensive demands placed on them. Then I started to make changes that would get my teaching, and indeed my life, more back on track. The first was seeking professional help. I had been burying my head in the sand for a long time, and I needed help to work through the anxiety that was dominating my every waking move. I spent a few months talking to a therapist (a chap called Ken, who was as fantastically kind and soothing as his name implies) who helped me to move out of the tunnel of anxiety and stress I was experiencing. I am frustrated now looking back that I was so adamant that I didn’t need to go through this process. My long suffering wife had been urging me to speak to someone about everything for a long time. Instead, I was a walking masculine cliché: embodying that ludicrous sense of stubbornness and embarrassment about mental health. My head in the sand mentality, however, inevitably made the situation much worse. The second step I took was to focus again on reading and learning and to look at ways in which I could channel this energy more positively. I started an Educational Masters and a blog, engaging with the inspirational online community of educators and reading widely. I read ‘In Praise of Slow’ by Carl Honore and had an epiphany: here is what I need, something that can help me slow down and have more impact. Then I began a year of experimenting: just what would happen if I deliberately slowed not only myself down, but aspects of my teaching? The resultant book ‘Slow Teaching: finding calm, clarity and impact in the classroom,’ was in reality, a deeply selfish project – I wrote it for my own sanity and desire to preserve a long career working with young people. I also wanted something positive to come out of a difficult period, something that might offer some solace and direction for overwhelmed teachers. So where to begin: what in reality can we do to help ourselves find clarity? How should we best prioritise and use our time? What needs this slow philosophy applied to it? The easiest step is to start with the place where we spend most of our time: the classroom. As preparation/panicked procrastination for this talk on Friday afternoon I did a cheeky sneak round my colleagues’ rooms in school and took some pictures. I’d like you to go through an honest appraisal: where are you on this spectrum of classroom display and management? This is Fabrizio’s, a dashingly charismatic Spanish teacher – whose flamboyance and speed is widely admired throughout the school. As much as I would love to have the pleasure of working with people called Fabrizio and Morticia, these are obviously exaggerated stereotypes, and neither represents a particularly ideal classroom environment. I’m also not entirely sure my colleagues would appreciate a Friday evening perusal and judgement of their classrooms! Yet, in reality, there is perhaps a place for a less extreme version of Morticia’s serene and sparse classroom environment. 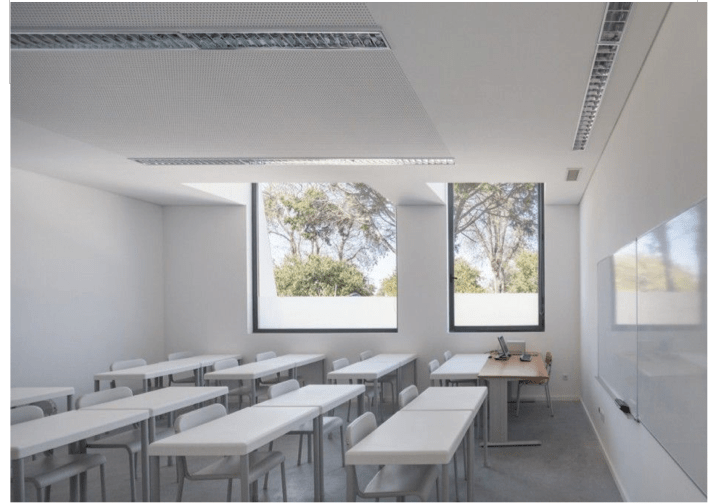 I would also certainly argue that there is scope for the principles of minimalism to be applied to our classrooms. The idea is minimalism offers purification and a complete rejection of all that is unnecessary in our environments. Our physical environments, it argues, are manifestations of our psychological state. A cluttered environment is a chaotic and stressed mind; a calm and organised environment is a tranquil mind. The reality is so much of the modern classroom is superfluous: those dog-eared behaviour posters; those sheets of paper and books that take up every corner; the lovingly curated resources that are boxed up and gathering dust. There is also the reality that young people are already immensely distracted: social media and phone notifications are often shattering their capacity to concentrate. Commit to a minimalist review. Close your day with five minutes of minimalism. Slow reading: ‘Essays on Minimalism’ Joshua Fields Millburn and Ryan Nicodomus. Interestingly, once the environment has this sense of calm focus, our teaching and manner around school begins to mirror this tranquillity: from everything to the way we use PowerPoint to our instructions. We start to become slower, more thoughtful and more focussed on the essentials. Reflection/discussion point: What would I be presented with in a freeze frame of your classroom on a Friday afternoon? Could your classroom and teaching benefit from a minimalist cleanse? Teaching is often hugely over complicated and one of the essential truths is forgotten: the public speaking demands on us are significant. It is one of the most exhausting, physically demanding aspects of the role – we are on stage for hours every day, communicating endlessly. What if we could conserve energy, slow down our communication and improve our students’ ability to retain information? If we fail to communicate well in our classrooms, no matter how intellectually gifted we might be, no matter how much we pour into the planning of our lessons, we will not help our young people learn. That ubiquitous cliché that teachers are actors has more than a grain of truth in it – the way we present ourselves in the classroom is profoundly important. It is hugely infectious – if we are calm, slow and deliberate it starts to influence our students’ behaviours in our rooms. In terms of verbal communication, I would like to make the case for more silence in our classroom interactions, more of the thinking time and cognitive catching up that pausing and wait time can enable. Doing so means that thinking is given real significance in our lessons, that young people know they cannot just mindlessly absorb what is happening around them – their thinking will be called upon at any point. The judicious employment of silence also powerfully mutes us as teachers (I know how prone I am to over narrating every aspect of classroom life), and makes us consider just what it is we want to make clear for our students. By pausing, our communication slows and becomes more impactful. We avoid the exhausting situations in which we are constantly repeating instructions. In our non-verbal communication our posture and use of hand gestures are more important than we might perceive. We are, ideally, aiming to present a vision of calm, assertive control – one in which captures the often hyper attention of our students and helps them to recall the essential information we want them to. Reflection/Discussion point: What aspect of classroom communication would you benefit from slowly examining and developing? Reading extensively around teaching and learning in preparation for writing the book, I wanted to simplify the extensive and contradictory guidance into some classroom practices that would have the most impact on students’ motivation, attainment and long term learning. Again, it is about streamlining the planning and preparation we do, not poring hours into constructing masterpiece one-off lessons that are packed with pointless resources and PowerPoint slides.After much reflection, in a bolt of genuine inspiration I arrived at this: the four ‘Ms’. That is where slow thinking can get you, the possibilities are endless. Comparative modelling – spot the difference. Student models: culture of excellence and sharing. Actively teach the planning process. Teach them to monitor their progress. Promote reflective talk in the classroom. What do you need to do to improve? Slow reading: EFI Metacognition and self regulation report. Student self-assessment before teacher feedback. Sparse, selective and actionable feedback. Crib sheets – whole class feedback. Reflection/Discussion point – what from the four ‘M’s’ features currently in your practice? What strategies work? What could you do more of? 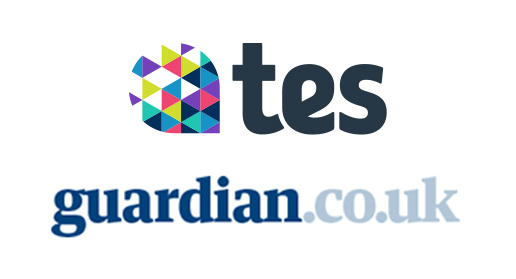 These are deliberately combined together, for me the two are intrinsically linked in the school environment. Wellbeing relies on feeling safe, trusted and growing as an individual. In reality: having a sense of wellbeing relies on not feeling like a relentless cog on a teaching treadmill. Lesson drop in – not teaching in isolated pockets, sharing good practice. Perspective – embrace stoicism – what do we have control over/what can we influence? 2. Track the positives, understand perfectionism. Meditation: ten minutes of quiet time a day can have a hugely positive impact. Wheel of balance: how much time are we investing in different aspects of our lives? Is there a balance? Slow Reading: ‘The Things You Can See Only When You Slow Down’ Haemin Sunim. Tracking the positives is a particularly optimistic point to begin to end on. Too often there is a narrative of the negative in regards to teaching, one in which can demotivate us and leave us lethargic. Slowing down at the close of a day and listing three things that have gone well, and have resulted in improvements, can be a hugely positive way to close a day. It allows us to recognise the good we do, our ‘bright spots,’ and influences us to do more of the same. To close: as I’m sure there is with all of us, there are isolated days when I still wake up in a cold sweat of anxiety at four in the morning – that is the nature of my temperament. Stress and anxiety is not something that we can conquer or dissipate, but something we need to recognise drives us and reflects our investment in our work. What the slow and reflective approach to teaching enables, however, is a kind acceptance of this and a commitment to taking time to learn, grow and make mistakes as professionals. I haven’t touched on leadership values in this presentation, but I would like to finish with Abraham Lincoln: a true encapsulation of slow leadership values. He rose from humble log cabin beginnings, teaching himself to read and write and ending up as President of the United States. He was a ponderous chap who was obsessed with reading and learning. 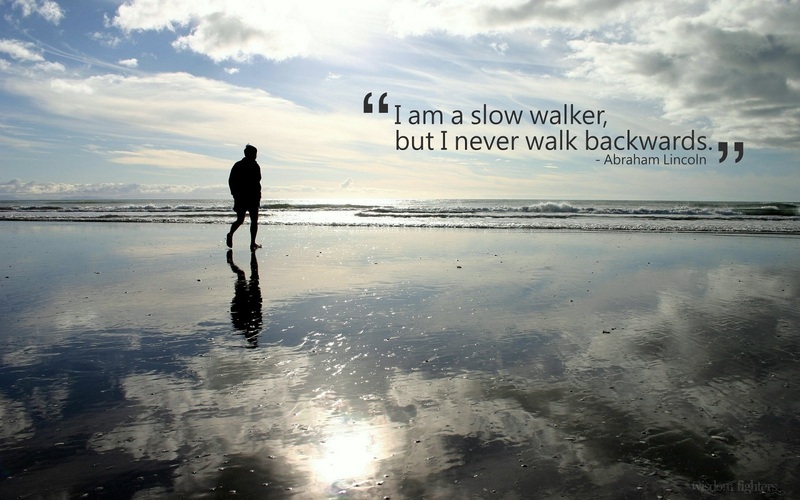 His reflection on pace provides a perfect place to conclude: “I am a slow walker but I never walk back”. I hope today has provided some fuel for thought on how we might refocus our thinking and slowly move forward as a profession. Thanks for persevering to the end! ‘Slow Teaching: Finding calm, clarity and impact in the classroom,’ is available from Amazon and John Catt Educational. So excited to discover your blog and book. I have been following The Minimalists for several years now and am on my own journey to simplicity. My home is nearly clutter free and and I have almost cleared my debts. This has created space to retrain, qualify and secure a job as a Teaching Assistant and means I am now in a position to leave behind a stressful job. I am taking the slow road to Teaching but hope that I will be a calm and reflective practitioner. I am reassured to read your story having suffered with overwhelm for so long. Knowing that minimalist practice exists in the teaching profession gives me great hope for the future. Thank you so much for that Jamie. Thank you for a reassuring reminder, the walk through our manic overloaded days and why we are all in education( And still love it even though it may not always love us).l have for a long time though who started this high speed train to nowhere we are on. Slow teaching is something I’ve been criticized for by observing inspectors..they honestly believe every student learns at hurricane speed. No in my experience. Your article is refreshing and reinvigorates my worn out brain and body. I now know I’m not alone in my thinking. I look forward to reading your book.